Upkeep Angels is a house cleaner / cleaning service serving the Redwood City, CA area. Services include House Cleaning, Cleaning, Maid Service, Move In & Move Out, Deep Cleaning, Construction Cleaning, Window Cleaning, Carpet Cleaning, Odor & Stain Removal, Floor Cleaning, Tile Cleaning, Kitchen Cleaning and Green Cleaning. Cleaning homes & businesses in Contra Costa & Alameda Counties for over 25 years. Impeccable Interiors has been providing high quality cleaning services to residential and light commercial clients throughout the East Bay since 1992. What sets us apart from other cleaning services is that we customize our service to meet the needs of our clients. We know our customers' priorities vary as do their homes. We design a cleaning plan to meet their specific needs and budget. A cleaning team or professional is assigned on an agreed upon time and day. Our English-Speaking Cleaning Professionals have worked with Impeccable Interiors a minimum of 5 years, with most having been with us for over 10 years. They are experienced, competent, and attentive to your needs. They bring all the necessary cleaning equipment and supplies, so you don't need to worry about a thing! 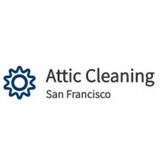 Our team at Attic Cleaning San Francisco is known throughout California for fast, quality service, great prices, and 100% guaranteed satisfaction! Contact us when you need fast, reliable, local attic-related services at a low, affordable price. 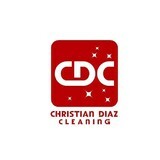 Delivering The Best Commercial Cleaning Services In The Bay Area! A&C Maintenance is a professional commercial cleaning service company serving the Bay Area since 1971. Our first priority is to continually offer the highest quality service to the businesses of our local area. With this in mind, we proudly offer commercial window cleaning, office cleaning, janitorial services, carpet cleaning, stripping and waxing floors, construction cleanup, pressure washing and much more. 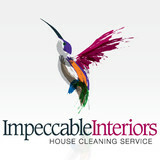 We want to leave your commercial property looking flawless and we take pride in the work that we provide on every job. We are sure you will love the results. Give us a call to experience specialized cleaning with a focus on your business and your individual needs.n help you! We do : move-outs , move-ins , biweekly,weekly,monthly,post construction cleaning ,residential and commercial buildings. We are a very friendly family cleaning business providing residential and commercial cleaning in the Bay Area. Eight years ago, our housecleaning clients liked what we were doing enough to tell their friends and co-workers about us. Because of their trust in us, we have grown our small family-owned company to offer more residential and commercial cleaning services, and more staff to get the job done. No project is too small or too big, and either way, you can be sure that you are getting the best cleaning services around. We are just like an oil changing company for your car...but for your home. Clear Choice Janitorial is a professional cleaning company that helps the people of Elk Grove, CA have clean properties. We have been in business for over 10 years now, and over that time, we have provided many of the locals with the impeccable services they want and need. However, since we get lots of questions about each individual service, we have decided to give you more information about each of them on separate pages. Here, you can read all about the commercial cleaning service we offer. We provide services such as Special Cleaning Services, Commercial Cleaning, Healthcare Cleaning Services, Residential Cleaning Services, Basic & Deep Cleaning, Move In/Out Cleaning. We are a family owned and operated business. My wife and I run the business together. Our goal is to help you keep your home clean and organized so that it's one of your favorite places to spend time with your family. Sparkling Clean Agency refers top-rated professional house cleaners for high-quality green cleaning services throughout San Francisco. With a strong focus on the health and safety of the household,our house cleaners use non-toxic and environmentally safe cleaning products, so you’ll never have to worry about dangerous chemicals that may risk your family's health. We believe every home is a sanctuary for those who live in it, so whenever we clean a house, we treat it with the utmost respect. By listening closely to our clients' needs, we're able to deliver quality eco-friendly cleaning services that exceed expectations. A clean living environment doesn’t only reflect your lifestyle, but it is also necessary to keep you fit and healthy. We are helping Alameda, CA’s residents to improve their health and lifestyle with our professional cleaning service! Our state-of-the-art trucks are self-contained and emit no contaminants into storm drains. Our system is tough on filthy grime but gentle on the environment. Our green eco-friendly wash trucks help reduce Urban Run-off into our rivers and ocean! The Canology Crew comes to your neighborhood once a month and will clean sanitize and deodorize your trash cans at your curbside, the day after your trash is collected. We have trash can cleaning down to a science! What should I expect from a house cleaner in Lafayette, CA? Most professional Lafayette house cleaning services will do the same tasks for a basic residential cleaning job: clearing dust and cobwebs from all surfaces and fixtures; wiping all surfaces, including sinks, tubs, counters mirrors; cleaning tile; vacuuming and mopping. You may want to have different rooms detailed at different times, so ask about doing a rotating schedule if you want them to pay extra attention to each space (like kitchens and bathrooms) every other cleaning. Some house cleaning companies in Lafayette, CA will also offer additional services such as window washing or appliance cleaning, so ask about incorporating them into your deal or doing them as a one time thing if you’re interested. Pick up any clutter (laundry, toys and other gadgets) and put pets in a secure spot so they feel safe and don’t get in the way of the Lafayette house cleaning company. Put out any specific cleaning products or tools you want used, and make sure to lock up any valuables that you don’t want disturbed. Most housekeeping services in Lafayette, CA will enter with a spare key or garage code, but if that isn’t something you’re comfortable with then you should arrange for them to come when you are home to let them in. Typically Lafayette house cleaners expect payment at the time of cleaning, so ensure you have the appropriate form of payment (cash, check or credit card) on hand, plus a little extra for tip if that’s your style and they do a great job. Find Lafayette house cleaning services on Houzz. Narrow your search in the Professionals section of the website to house cleaners in Lafayette, CA and contact local companies to ask questions and get quotes.